Tesla produced 77,100 vehicles in the first quarter of 2019, the company said on Wednesday. Analysts polled by Bloomberg were expecting total production to be 64,400 vehicles. Tesla’s stock price sank $0.39, or slightly more than 0.1%, in after-hours trading following the announcement. Model S and Model X deliveries: 12,100. Wall Street analysts’ average estimate for total production was 64,400 cars, according to Bloomberg. Tesla had previously warned in its fourth-quarter update to investors that first-quarter numbers for Model S and Model X would likely come in “slightly below” the prior year’s figures for the same period. In the first quarter of 2018, the company produced 24,728 Model S and Model X vehicles. 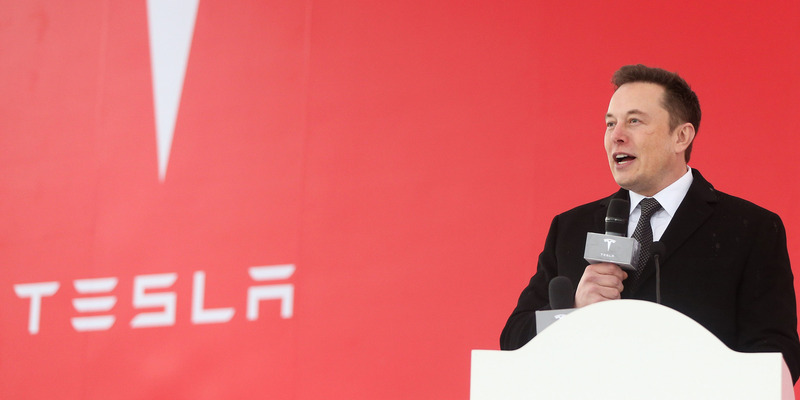 Tesla cited challenges it encountered with deliveries overseas. Like many other previous quarters, this deadline was also met with an all-hands-on-deck rush to meet internal targets by Tesla. Emails from CEO Elon Musk, which Business Insider obtained in March, to company employees highlighted how important this quarterly deadline was for the company. Shares of the company fell $0.39, or slightly more than 0.1%, in after-hours trading following the production report, according to Markets Insider data. Tesla is expected to report its first-quarter financials soon, but it has not yet confirmed a release date. Musk said in February that the company would likely dip back into the red for this quarter — a departure from his previous statements about the company’s continued profitability — as it expanded into Europe and China. The company did not provide an update on how many $35,000 Model 3 orders it received. The company began taking orders for the long-awaited base model in February.